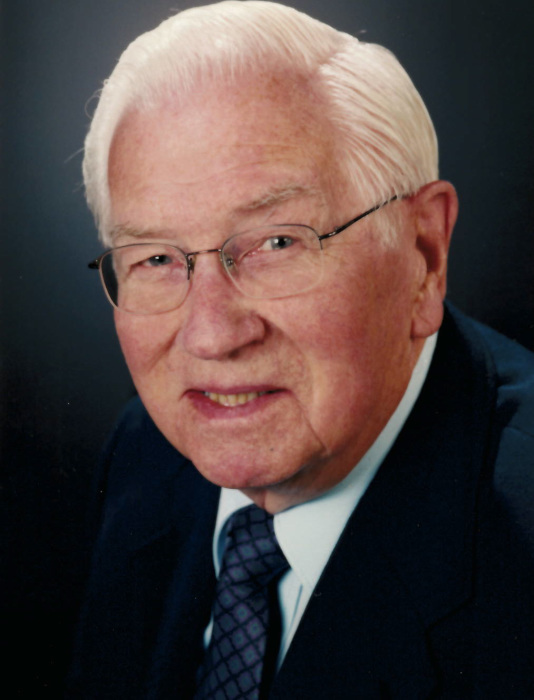 Clifford L. Dahl, age 96 of Mpls., passed away on Nov. 13th with family by his side at Catholic Eldercare of Mpls. Cliff was born on Feb. 26, 1922 to parents Elmer and Esther Dahl of Brainerd, Minn. He graduated from Brainerd High in 1940, served in WWII, US Army 10th armored division (Tigers) 1942-1945. In 1946 he married Harriet Palmquist and they were married for 53 years. He had 11 grandchildren and 22 great grandchildren. Cliff is survived by daughters, Brenda Forbes, Margo (Don) Beckett; son, Bruce (Debbie) Dahl; sister, Leona Cervin; and brother, Charles (Ella) Dahl. Cliff retired from St. Paul Pioneer Press State Circulation. He attended and loved Eagle Brook Church. A Celebration of Life will be held at Eagle Brook Church, 2401 East Buffalo St, White Bear Lake; on Tuesday, Dec. 4, at 11:00am with a visitation one hour prior.